In this lively book presenting six of the most influential poets of the late twentieth century, Jan Schreiber argues convincingly that the strongest and most lasting poems were written in meter, rather than the free verse that dominated the scene for much of the period. With fresh looks at the work of Robert Lowell, Elizabeth Bishop, Howard Nemerov, Anthony Hecht, W. D. Snodgrass, and Richard Wilbur, these essays give readers new insights into the strategies poets use to fuse sound and sense together in memorable ways. Later chapters take a close look at the work of additional poets considered important by influential editors and critics, and offer a re-evaluation of some reputations that have suffered from neglect in recent years. Enlivened with plentiful quotations and supported by close and perceptive readings, this book is an invaluable guide through the challenging forest of twentieth-century poetry in the postwar period. A model of evaluative criticism, it also offers illuminating essays on artistic judgment and on the functions of poetry in a diverse, contentious, and changing society. Jan Schreiber is a poet, critic, and translator. 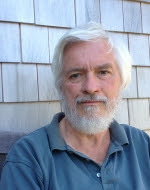 Over a varied career as a social scientist, software entrepreneur, and literary scholar, he has written frequently on American poets and the problems of understanding and evaluating modern poetry. He lives with his wife Frances in Brookline, Massachusetts. 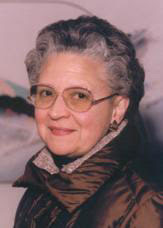 Rhina P. Espaillat's poems, essays and short stories, in both English and her native Spanish, have appeared in journals and anthologies, as well as her three chapbooks and eight full-length books. Her most recent are a poetry collection in English, Her Place in These Designs (Truman State University Press, Kirksville, 2008), and a bilingual collection of her short stories, El olor de la memoria/The Scent of Memory (Ediciones CEDIBIL, Santo Domingo, D. R., 2007). She has received, among others, the Wilbur Award, the Nemerov Prize, the T. S. Eliot Prize in Poetry, the Robert Frost “Tree at My Window” Award for Translation, the May Sarton Award, a Lifetime Achievement in the Arts Award from Salem State College, and several honors from the Dominican Republic's Ministry of Culture, the New England Poetry Club and the Poetry Society of America.